Fourteen artists create a limited edition Clarks Originals Desert Boot for Clarks: Rebooted. For 2015 Clarks has partnered with The HALO Trust to present Clarks: Rebooted, an artist initiative and global collection launch celebrating 65 years of their original and iconic Clarks Desert Boot. Clarks: Rebooted gathers the talent of 14 leading British and UK-based artists and designers from a broad range of creative disciplines to create a one-off art piece freely reinterpreting this iconic footwear. 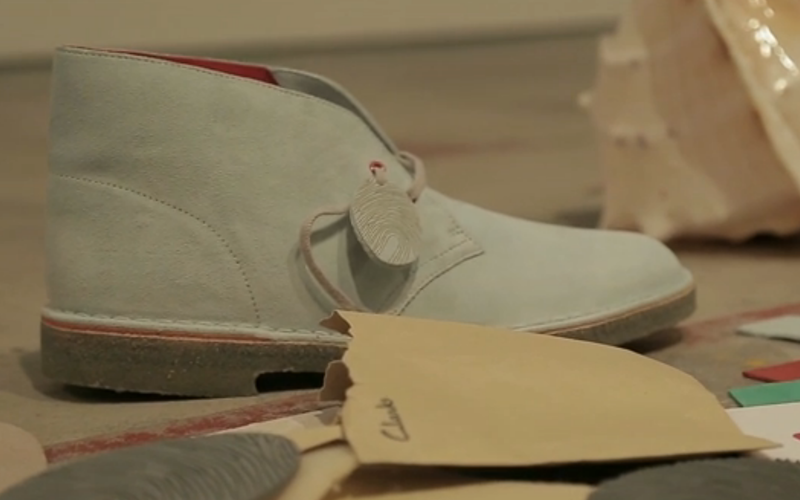 As well as this, they will design a Clarks Desert Boot which will be sold as a limited edition of 250 units, available online from spring 2015. Quinn has created the 'Urban Nomad' desert boot. 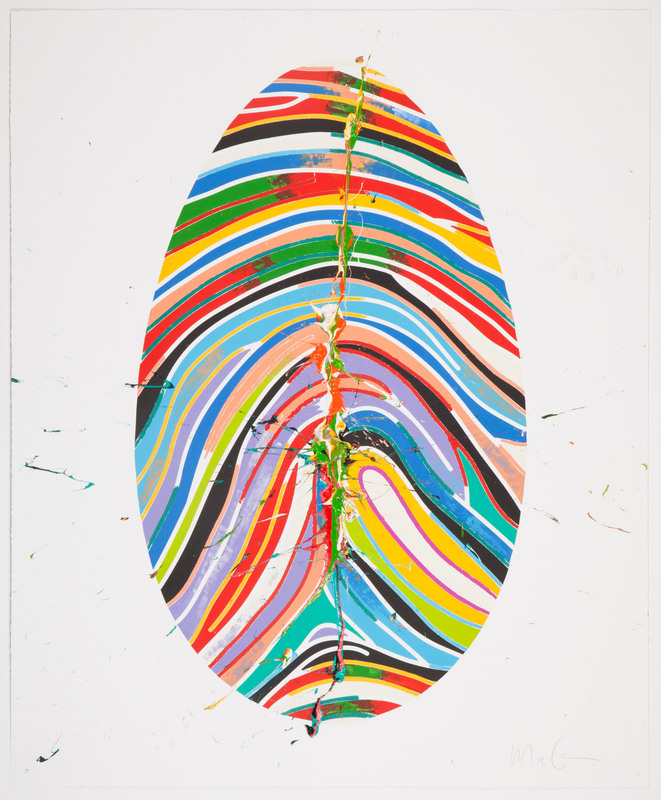 A relief of a fingerprint appears on the boots' soles, with Quinn saying of the shoes - 'you're walking through a landscape and leaving your mark on that landscape'. With the 'Urban Boot' a key marker of identity - the fingerprint, is trodden into the urban landscape, uniting the wearer with their terrain. On sale at 29, Neal Street, Covent Garden to end November.